$1.3 billion. That's the new Powerball jackpot. Another Powerball drawing failed to produce a winner on Saturday after reaching a staggering $900 million jackpot earlier in the day -- by far the largest ever. Now lottery officials estimate the jackpot is already at $1.3 billion ahead of the next drawing on Wednesday night. The jackpot has been growing since November 7. It first broke into the top 10 largest jackpots ranking last weekend, when it hit $400 million. Since then ticket sales have only taken off. It hit $700 million on Thursday after nobody won on Wednesday night -- the 18th drawing without a winner. The buying frenzy continued all day Saturday. A few hours before the drawing, the Texas Lottery reported that $5,838,152 in Powerball tickets were sold in a one-hour period. The numbers drawn Saturday night were 32, 16, 19, 57 and 34, and the Powerball was 13. The biggest winning jackpot ever was in 2012 -- a MegaMillions game that was worth $656 million. The pot was split among three winning tickets with all the right numbers. A retired couple from Illinois, Merle and Patricia Butler, received one of the $218.6 million slices of the top prize. Another winning ticket was divided among a group of friends in Maryland that dubbed themselves the "Three Amigos." The third winner, with a ticket sold in Kansas, is not known; Kansas is one of the few states that allow winners to remain anonymous. The current cash payout is $806 million. A ticket holder would only get $1.3 billion if he took the payout over time and invested it -- something virtually no lottery winner ever does. The odds of winning are 1 in 292 million. Last February, when the jackpot hit $564 million, the odds were 1 in 175 million. Why did it get harder? 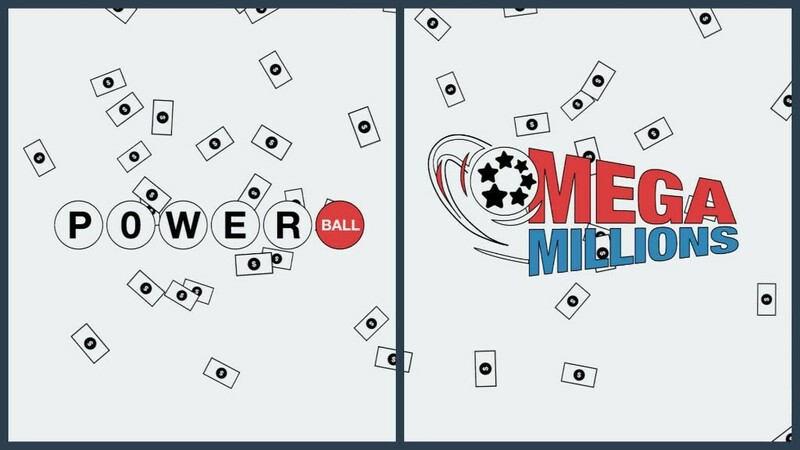 Powerball officials made a change last fall to increase the odds of players winning some prize. But that decreased the odds of winning the life-changing amount. --CNN's Joe Sutton contributed to this report.